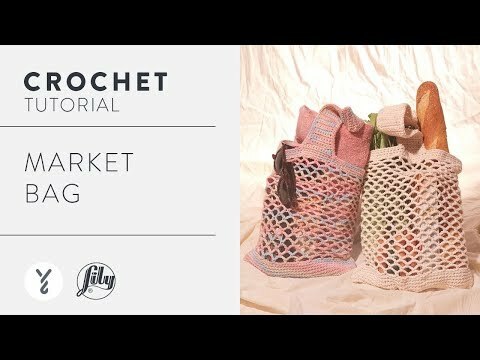 Let's go shopping with this DIY mesh market bag, easily crocheted using Lily Sugar'n Cream yarn. 11½ ins [29 cm] wide x 18 ins [45.5 cm] long. This handy mesh bag is so useful and attractive, you'll need a few for yourself and your friends. Make this lightweight string bag with our Lily Sugar'n Cream yarn, loved for its exceptional quality and variety of colors. Some people call this a string beach bag, and why not? it's so versatile you'll want to stash a few in your car for all sorts of carrying needs.